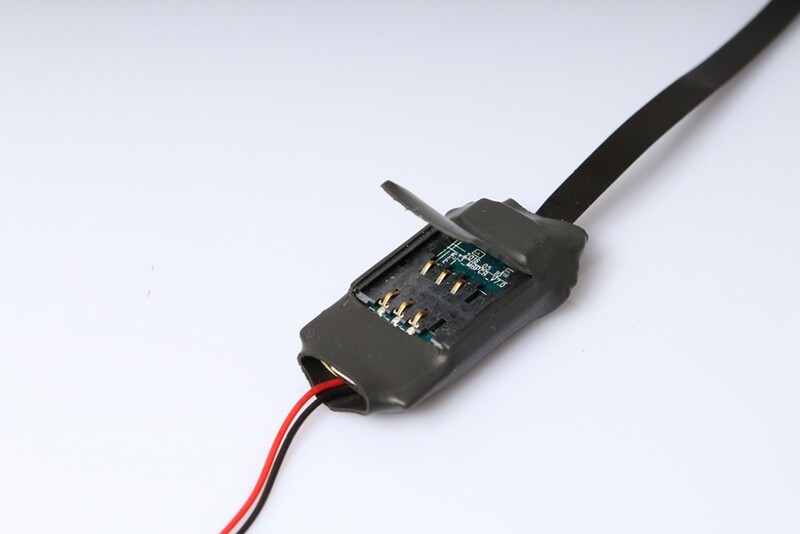 Pinhole spy GSM camera on SIM card with remote listening which will always warn you in time what is happening in the monitored area. 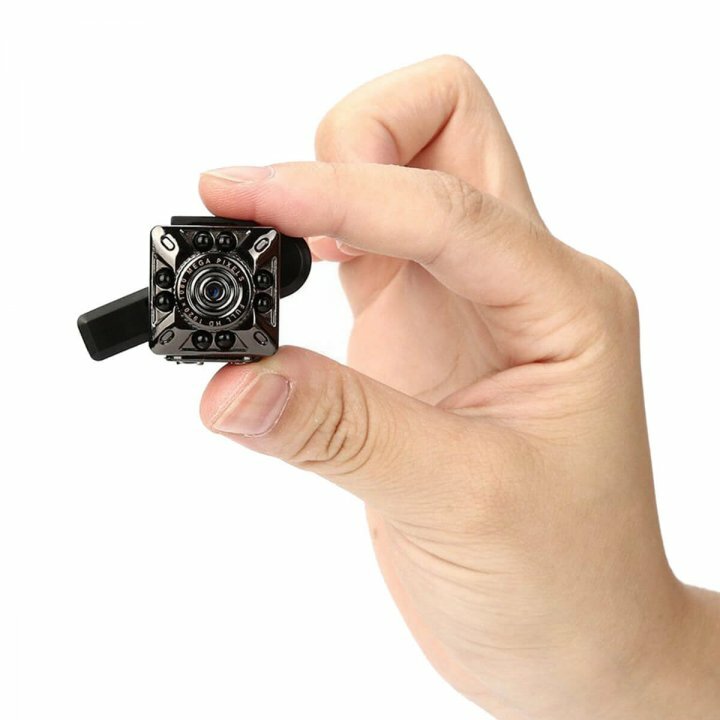 If you need to monitor the interior of office, house, apartment or car, and be informed early about events, this GSM SIM pinhole camera is designed just for you. 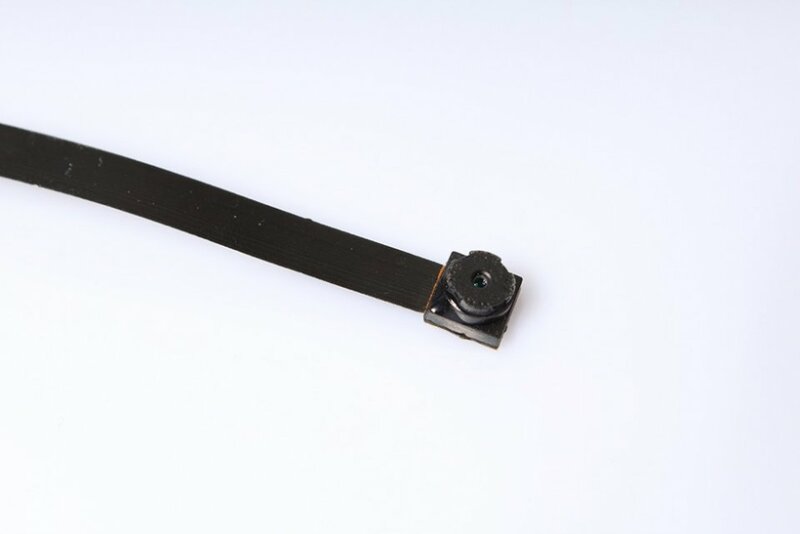 Just buy at any operator a SIM card with a phone number that you can insert into pinhole camera. 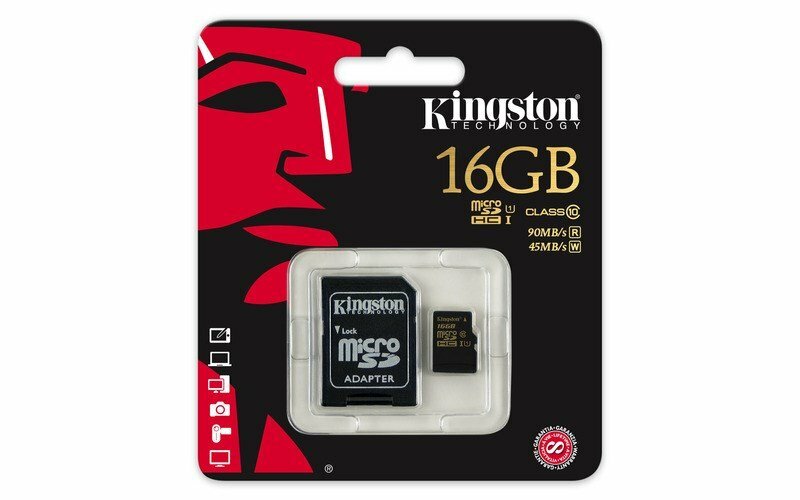 The camera also includes a slot for microSD card up to a maximum capacity of 32 GB, which will record video and audio. 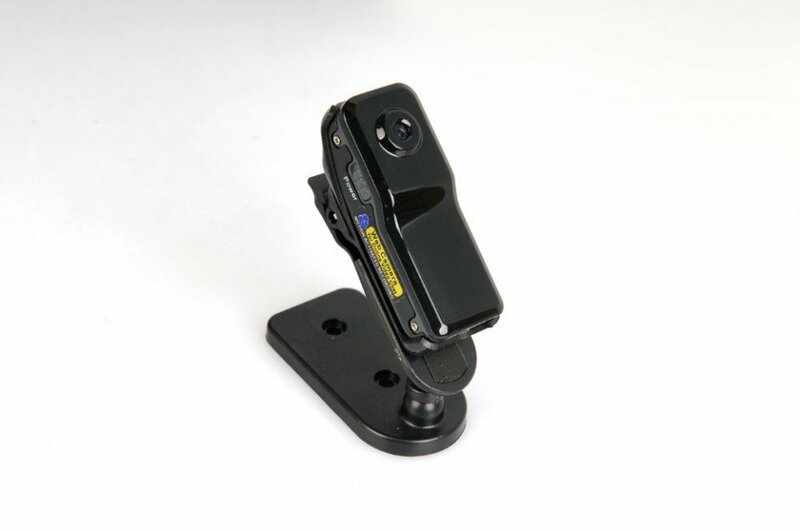 The device is easy to operate using command SMS, which you send from your mobile phone to GSM spy camera. After initial calibration SMS when the camera will remember your phone number for further communication, you can set SMS with commands necessary functions for monitoring. The basic function is the sound detection. 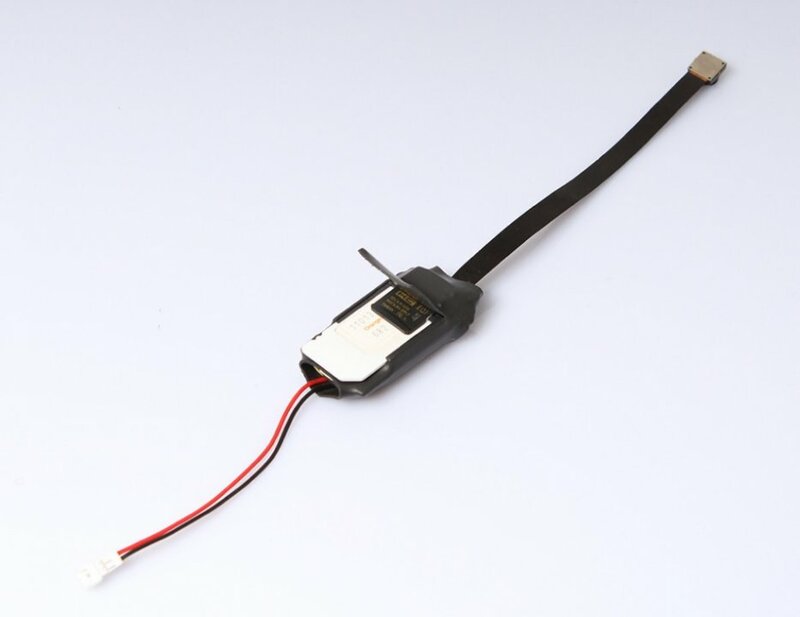 When detecting sound above 40 db, the device will automatically will call you and through a sensitive microphone you can hear what is happening to a distance of six meters. Then you can send an SMS with commands for video recording. Video with audio will be stored on the memory card in intervals of 30 minutes. You can also choose a command for only recording of the sound track. After calling to the phone number in camera, the device will automatically pick up your call and you can hear what is happening around the camera. Motion detection function saves your photo in JPG format on the microSD card. 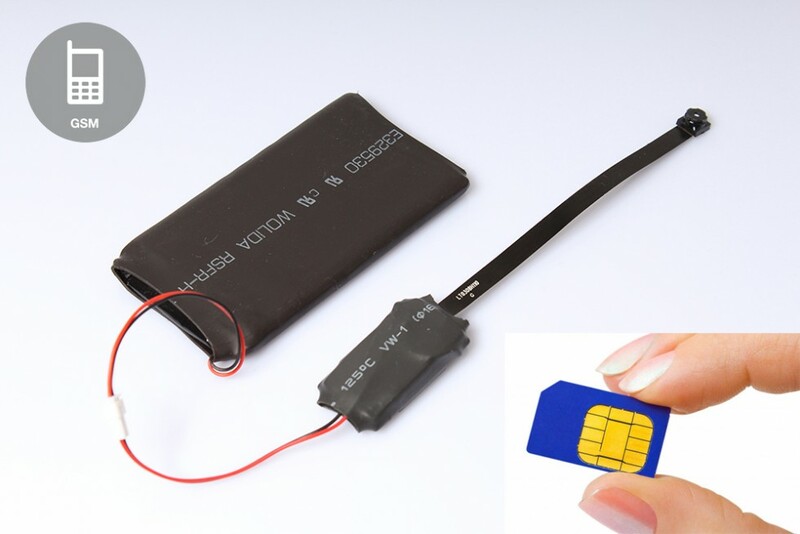 Via a command SMS, the SIM security camera can send you information SMS with details about battery status, the free capacity of the memory card, information about the actual process (if you are recording video or audio only). Another option is to format the card or reset your device via SMS. 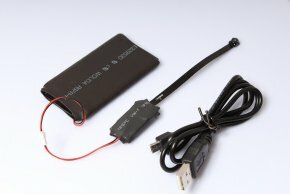 Battery with a capacity of 2500 mAh ensures a long operating GSM SIM camera. In the standby mode it can work up to 12 days. Talking time is up to 150-180 minutes. SIM security camera can also be connected to a permanent power supply or POWERBANK, to help increase operation time according to capacity of external battery charger.